The Vatican officially declared its intention to defeat the Church of England on Tuesday - not in a theological re-match nearly 500 years after they split, but on the cricket pitch. The challenge was launched at the baptism of the St. Peter's Cricket Club. Vatican officials said the league will be composed of teams of priests and seminarians from Catholic colleges and seminaries in Rome. 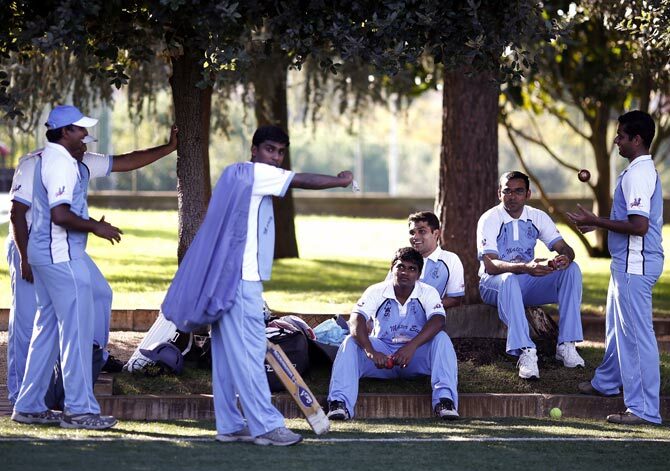 Image: The team of priests and seminarians play a practice cricket match at the Maria Mater Ecclesiae's Catholic College in Rome. 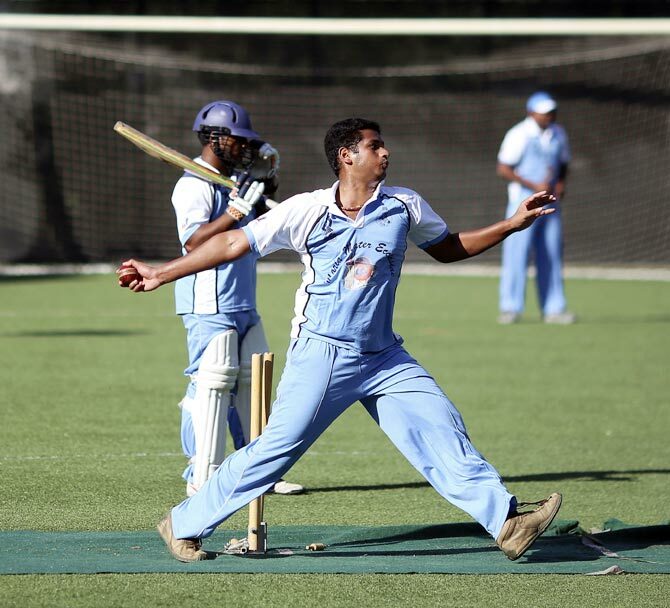 The seminaries and religious colleges will play each other in a "Twenty20" tournament, where games last about three hours. After that, the best players will form a Vatican team, which will be called the "Vatican XI," and challenge the Church of England to form its own team of Anglican priests and seminarians to play in London at Lord's, the home of cricket. "The Vatican team will be able to play anybody in the world. 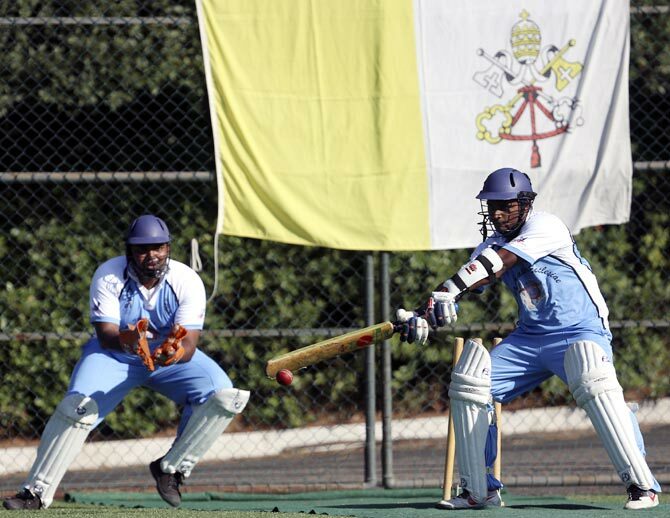 We hope to see a Vatican team playing at Lord's," said Alfonso Jayarajah, a Sri Lankan who was the first captain of the Italian national team and a board member of St. Peter's Cricket Club. 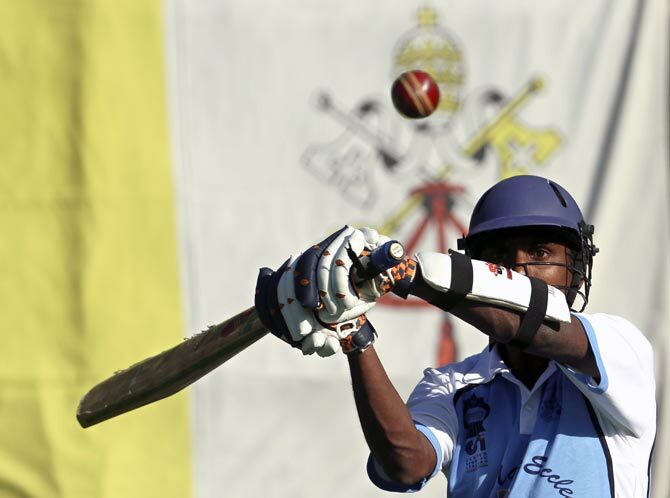 "We hope to have ecumenical dialogue through cricket and play a Church of England side by September," said Father Theodore Mascarenhas, an Indian official at the Vatican's Council for Culture, who once played as an off-spin bowler. The idea for a Catholic cricket club was the brainchild of John McCarthy, Australia's ambassador to the Vatican. He wanted to see something similar to the Clericus Cup, a soccer tournament among the religious colleges and seminaries of Rome. He enlisted the support of other diplomats and prelates from what he called "other cricket countries" - including Britain, South Africa and Pakistan - and found "anonymous sponsors from the cricketing world". In response to a suggestion that cricketing terms and field positions might be translated into Latin or Italian, McCarthy was firm: "English is the language of cricket and will remain the language of cricket". By all accounts Pope Francis is not much of a cricket man. He still supports the San Lorenzo football club of his native Buenos Aires. But Mascarenhas, the Indian priest who is the chairman of the St. Peter's Cricket Club said: "I am sure that cricket will be another thing that he accepts as part of his openness."